The 863 is a publication for the community. People. Places. Experiences. Local art. If it’s here in the “863” and happening, you’ll likely see it in one of our issues. The 863 Magazine is owned by Polk Media, Inc. Local residents Sergio and Andrea Cruz are the owners of Polk Media. The 863 Magazine has been publishing since 2013 and now has a sister product, Your Healthy Polk, which has a mind, body, spirit focus. Look for it on stands with The 863 Magazine. We have no investors, other than our advertisers. It is our advertisers who are making The 863 Magazine and Your Healthy Polk happen, and we thank them profusely. 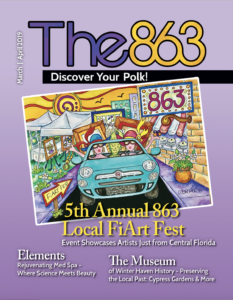 Learn about and/or contact the staff of The 863 Magazine. The 863 Magazine does not have a physical office per se. From start to finish, the product is pieced together remotely. This keeps expenses down, which ultimately benefits the advertisers and readers. Want to meet us personally? You can find us at the 2nd and 4th Saturday Markets in Downtown Winter Haven. 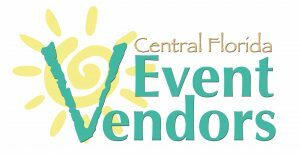 The 863 is a sponsor of this great community event, as well as The 863 Local FiArt Fest (April) and Haven Holiday Market (November).